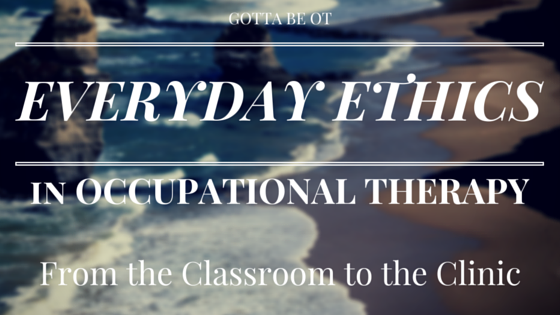 This is Part I of a two-part mini series on ethics in OT practice. 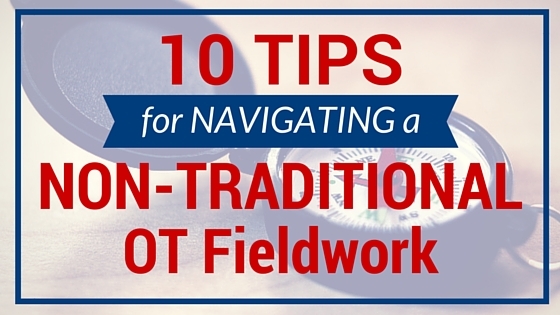 This post discusses my experiences as a Level II fieldwork student and how ethical questions in the workplace aren’t always as cut and dry as ethical questions in the classroom. 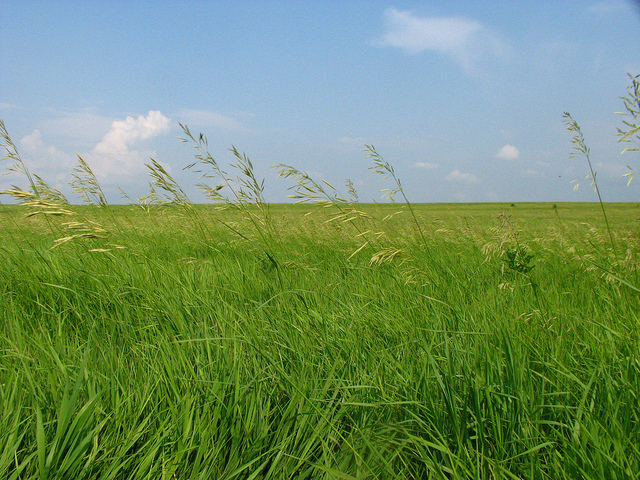 Click here to read Part II, about productivity standards and their impact on ethical practice. Like any other OT/A student or practitioner, I’ve learned about the Occupational Therapy Code of Ethics, the kinds of activities or behaviors that are considered ethical violations, and how to avoid practicing unethically. In the classroom, we discussed the importance of documentation, patient privacy, HIPAA, and preventing ethics violations, and it seemed easy enough to understand. However, I’m finding that in the “real world,” things are not always quite as simple. Since I’ve been working at the state VR office, I’ve been involved in several situations that I would consider “ethically iffy,” if not outright ethical violations. Although nobody means to do harm or is intentionally entering into these scenarios, there have been several incidents I have observed and learned from. This post includes just a sampling of the kinds of ethically challenging situations I’ve faced so far, and while all three have fairly obvious solutions, there have been other times when doing “the right thing” was nowhere near as clear. Note: For my own learning and the benefit of readers, I’ve referenced the specific Principles from the OT Code of Ethics for each example below. Missouri College also has a great article that nicely summarizes the OT Code of Ethics. For me, my fieldwork experience has not quite been what I expected in a lot of ways. While I realized quickly that I would have to adjust my expectations for working with clients, I’m still getting adjusted to working as an OT (student) in a vocational rehabilitation (VR) setting. It’s been a month since I started fieldwork, and I’ve since realized that some of the challenges I’m currently facing in my VR placement are a direct result of working for a state agency, not just the non-traditional nature of the setting. For example, all of the “red tape” I have to deal with to do something as basic as entering a client’s demographic information into the computer is frustrating, but I’m hopeful that this experience is preparing me for other settings where there will be just as many hoops to jump through to get things done. I’m also having difficulty with the fact that this placement is a “desk job” in many ways – I spend 75% of each day in my desk chair talking with clients in person or on the phone, doing work on the computer, or preparing documents to mail or fax. I didn’t get into OT to spend all this time sitting down, and I really do want to get out into the community with clients, see where they work and live, and provide interventions in their natural contexts! However, at this site I don’t have the option to sit outside with clients in the fall sunshine or meet at a different location, for reasons involving safety and privacy for me and the clients. It’s frustrating, but I’m just going to have to grin and bear it for the next couple months. I’ve made an effort to get out of the office when I can, such as taking a trip to a state Assistive Technology office to discuss a client’s case (and have a change of pace) and going to a support group my supervisor leads for people with a specific kind of disability. Still, I feel like I spend too much of my time standing by and not enough time seeing clients (…although I’ll be interested to see if I still feel this way in a couple weeks, after my caseload is a little heavier). In spite of these challenges, I’m also finding ways to learn from this experience and collaborate with my supervisor to find ways I could take a more active role in treating clients. For example, I have gotten permission to start providing clients with individualized “counseling and guidance” (in VR lingo) while they are waiting (sometimes for weeks) for their medical records to be submitted so that they can proceed to the next step of the VR process and get on an “employment plan.” Again, the waiting can feel interminable, but I’m hopeful that at least while I’m here I can help clients do things like develop resumes, practice interview skills, and learn about anger management skills and disability disclosure in the workplace so that they can be better prepared and more successful when they do eventually join the workforce. My supervisor is also doing a great job of identifying more “OT” clients for me to work with while I am here. For example, she has given me cases for clients who need vehicle modifications, assistive technology, and environmental adaptations in order to find employment or remain employed, and I am looking forward to seeing how these cases work out. She told me that she has never in her 15+ years of practice in VR placed a client with a high-level spinal cord injury, and referred me to a quadriplegic client she’s known for over 10 years in an effort to help him find a job! It’s a great challenge, and I’m hopeful that we’ll have a positive outcome this time around! For my second client, “Mary,” I would like to try an intervention targeting her anger management and emotional regulation skills. Mary has bipolar disorder that is now well-controlled on medication, but she has a history of violent outbursts and physical assaults that have caused her to lose jobs as well as get in trouble with the law. I used this (admittedly very old) AJOT article to form the basis for an anger management “program” that I am developing and that I would like to use to help her control herself better as a future employee. Hopefully my program will help her understand the four parts of anger (anger’s cognitive, environmental, physiological, and behavioral components) and begin learning various strategies for expressing and managing anger and other emotions. One of Mary’s valued occupations is participating in the campaign efforts for a local elected official, and while she enjoys this work and has received praise for her contributions, she has also lost her temper on several people and been warned by the campaign staff that she will be asked to leave if she has another incident. Mary will be helping work the polls on local Election Day in November, and her main goal is to NOT have an outburst while she is working. I really want to help her achieve this goal, and I hope I get to do it with my OT anger management intervention! Of course, client buy-in and willingness to participate will determine whether or not either of these things come to fruition, but I’m really, really hoping that I will finally be able to start injecting a little more OT into this setting in the next few weeks! UPDATE: Since I originally wrote the post above about two weeks ago, a lot of things have happened! For one thing, I learned that before spending a ton of time developing an intervention, you should first consult with the client to see what their interests and goals are. Of course I already knew this, and had previously met with both “James” and “Mary” for initial interviews and felt like I had a good working knowledge of the kinds of interventions and services they might benefit from. However, in my excitement about planning the interventions, I forgot the small piece where I should learn more specifically about the clients’ schedules, resources, and needs before running with my own ideas for them. I had an individual appointment with James last week, and although I asked him about how he was managing his medication, his main focus was finding employment and pursuing his goal of becoming a diesel engine mechanic or truck driver. I was disappointed that I wouldn’t be able to work on the medication management goal, but James and I decided to focus on learning how to complete online job applications and gaining some basic computer literacy skills instead. When I called Mary to see when she might be able to come in for an appointment (to start my awesome anger management program), she told me that she was busy working on a political campaign and would not have time to come to the office until after Election Day. Again, I was disappointed, but I ended up using some of the materials I developed with another client, so it wasn’t a total bust! I was also able to help connect a client with a speech impairment to the state’s Speech-to-Speech phone relay service so that she could communicate more easily with family, friends, and future employers. I actually learned about the Relay service at my state OT association conference I attended recently, and I was so excited to bring back the information for this client! 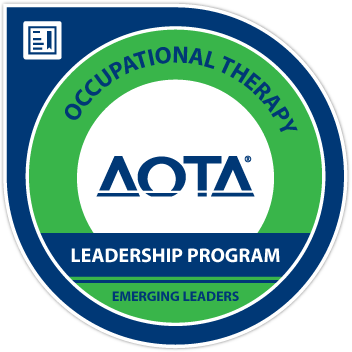 This is just one more reason why you should get involved with your state OT association as a student – you can learn about local services, technologies, and programs that can help the people you work with. I’m still spending a lot of time waiting for clients’ medical records to arrive so they can start receiving “official” services, but in the meantime I’m doing my best to make the most of the setting I’m in. I’m still learning a lot, and I have my first ever home visits with the Independent Living unit tomorrow, so that should be great! I’m looking forward to this week, and it’s hard to believe that I’ve already been here for a month…somehow I’m 1/3 of the way through my first Level II fieldwork! Fieldwork Files: Day One of My First Level II! Happy October! Fall is finally here, and I am super excited for sweaters, apple cider, and stepping on crunchy leaves. I also excited because…drumroll please…as of last Tuesday, I am officially a Level II Fieldwork student! I am getting closer and closer to my dream of being an OT, and I can hardly believe that just three years ago I was taking undergraduate classes and volunteering to lay the foundation for this day. Sometimes I look around and just think about how crazy it is that I am here, now, doing exactly what I want to spend the rest of my life doing! It seems that on rare occasions, patience really does pay off. My fieldwork placement is a lot like me in that it is fairly non-traditional. For the next three months, I will be working with a state-run vocational rehabilitation (VR) and independent living (IL) office to help clients with mental and physical disabilities return to work, find and maintain employment, successfully transition from to school to employment settings, and live safely and independently in their homes. In the office where I am working, there are VR and IL counselors working with military servicemembers with TBI, students undergoing the postsecondary transition process, people with mental health problems, people with physical disabilities, and others who are in need of vocational rehabilitation services. 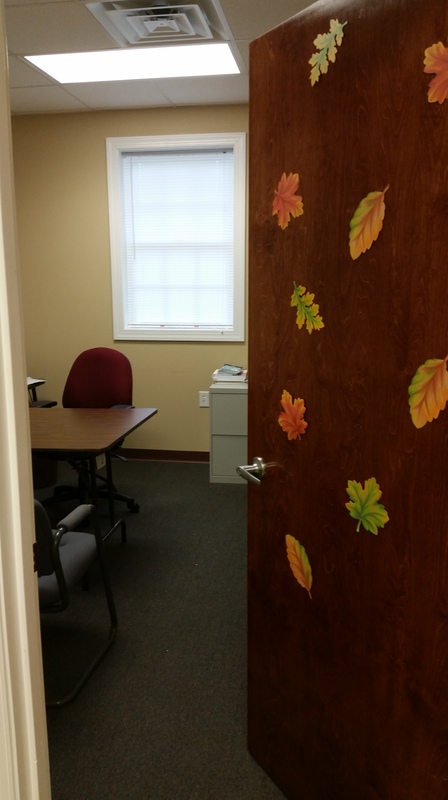 Although my supervisor is an OT (and a Certified Rehabilitation Counselor), there are no other OTs in the office except for me, the lone OT student/intern! Fortunately, I will be working with a rehabilitation counseling student who is also learning new things, so I don’t feel alone. Everyone here is also really nice, which makes it a nice working environment!